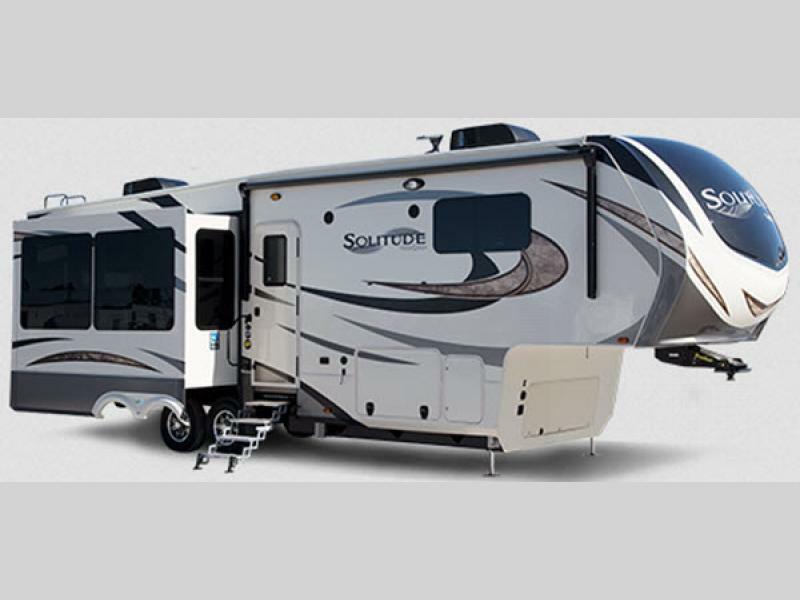 The delightfully spacious and impressively comfortable Grand Design Solitude 375RES promises you an great RVing experience from start to finish. From the moment you walk in this RV you’re guaranteed to feel at home. So whether you’re spending a weekend in the mountains or heading across the country to see some of our National Parks, you’ll love every minute spent in it. And, with space for up to 6 people the entire family and then some can come along for the ride. Learn more in our Grand Design Solitude 375RES review. If cooking is your thing then you’re sure to feel at home in this spacious kitchen. It offers tons of counter space and storage, as well as a slew of features that are guaranteed to make your inner gourmet chef come out. From the large island to attractive cabinetry, you’ll be hard pressed to find something that isn’t likable in this RV. 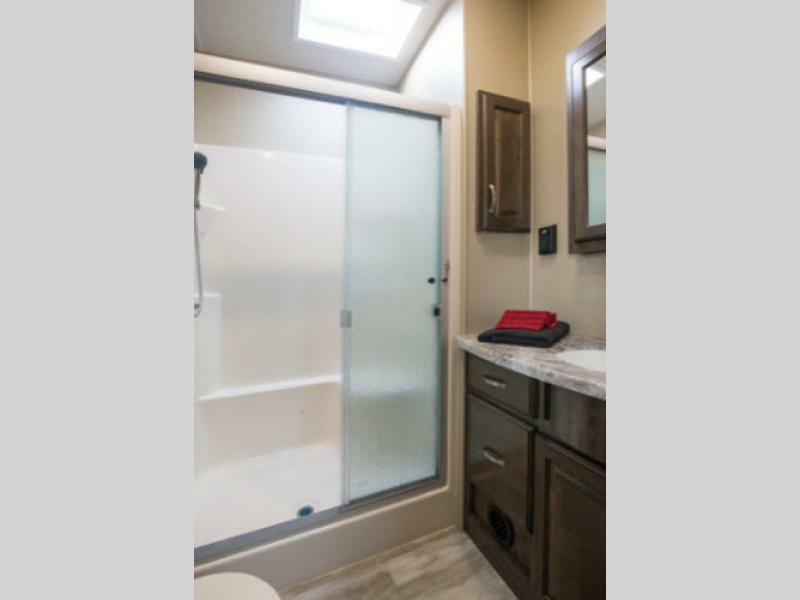 A spacious bathroom is an important part of enjoying your RV experience. No one wants to feel cramped. That’s why you’ll love this large bathroom that includes a huge one-piece fiberglass shower and a porcelain toilet. It’s just like what you’d have at home or in a hotel room. Whether you’re just pulling into your campsite after a long drive or just getting in from a long day of fun, the Solitude 375RES bedroom offers you a delightful place to rest, relax, and catch a few Z’s at the end of the day. 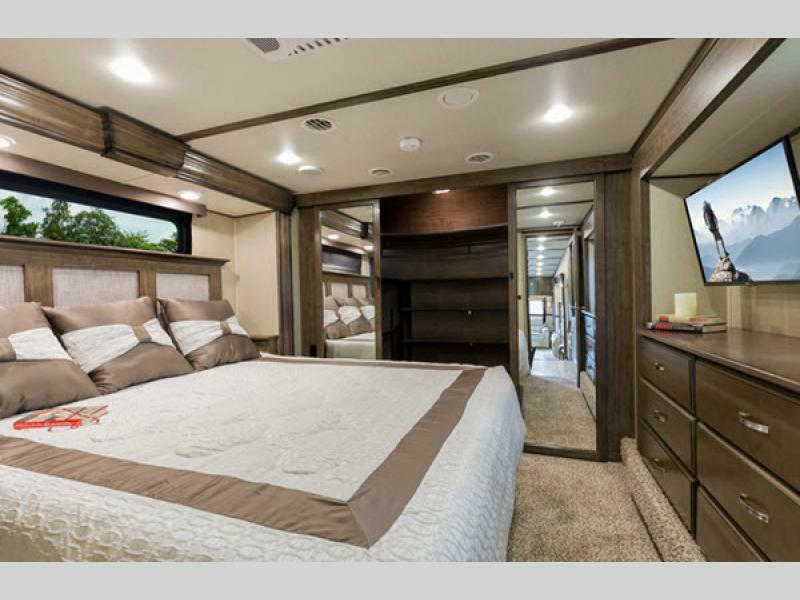 If you’re interested in learning more about our selection of Grand Design Solitude 375RES fifth wheels for sale, contact us. We can answer your questions and help get you in the best RV for your needs as soon as possible. Less time with us means more time on the road making memories with your family.